A 1 And when the day of Pentecost had come, they were all together in one place. 2 And suddenly there came from heaven a noise like a violent, rushing wind, and it filled the whole house where they were sitting. 3 And there appeared to them tongues as of fire distributing themselves, and they rested on each one of them. B 4 And they were all filled with the Holy Spirit and began to speak with other tongues, as the Spirit was giving them utterance. C 5 Now there were Jews living in Jerusalem, devout men, from every nation under heaven. 6 And when this sound occurred, the multitude came together, and were bewildered, because they were each one hearing them speak in his own language. 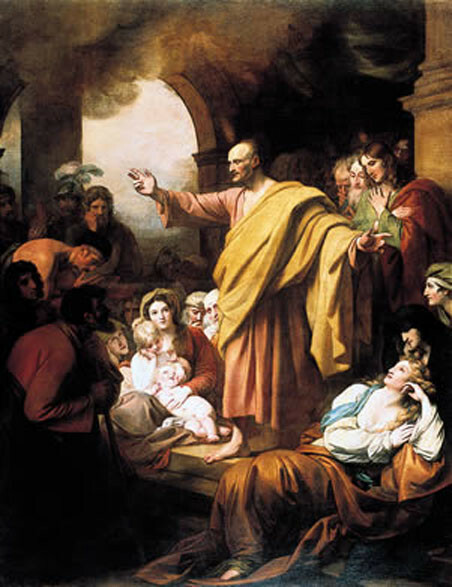 D 7 And they were amazed and marveled, saying, “Why, are not all these who are speaking Galileans? E 8 “And how is it that we each hear them in our own language to which we were born? B’ 16 but this is what was spoken of through the prophet Joel: 17 ‘AND IT SHALL BE IN THE LAST DAYS,’ God says, ‘THAT I WILL POUR FORTH OF MY SPIRIT UPON ALL MANKIND; AND YOUR SONS AND YOUR DAUGHTERS SHALL PROPHESY, AND YOUR YOUNG MEN SHALL SEE VISIONS, AND YOUR OLD MEN SHALL DREAM DREAMS; 18 EVEN UPON MY BONDSLAVES, BOTH MEN AND WOMEN, I WILL IN THOSE DAYS POUR FORTH OF MY SPIRIT And they shall prophesy. The center is interesting. 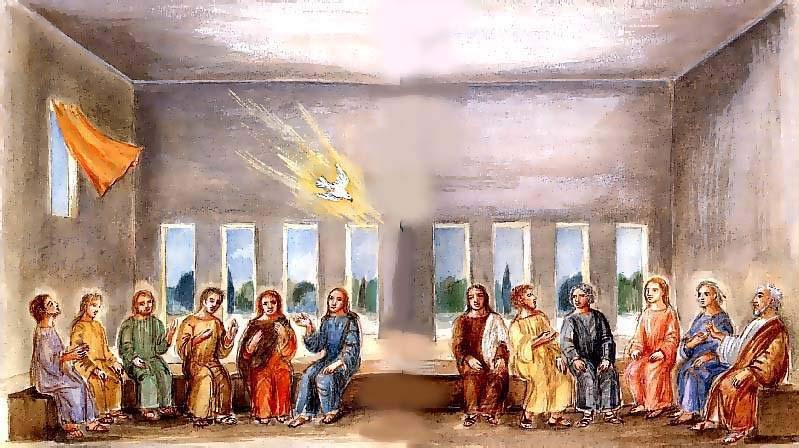 It seems the emphasis is on how many different languages were being heard as the result of the Holy Spirit’s work at Pentecost. … MANY! I think it underlines the powerfully miraculous nature of the event. The ‘sign’ being witnessed was simply HUGE. I think it also idicates God’s desire very early on in the Christian movement to have his message be experienced by many peoples.